BAM Outdoor landscape contractor in Fishers, IN is the premier landscape design company to take your dreams for your yard and make them a reality. Whether it’s a fire pit for your backyard, landscape design plan for your new home or refurbishing the greenery around your business, BAM Outdoor is the landscape contractor that can do it all. 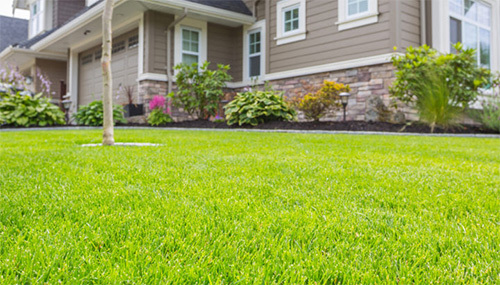 Lawn care and lawn fertilization are crucial to having a thriving well-manicured lawn in the Fishers, IN area. 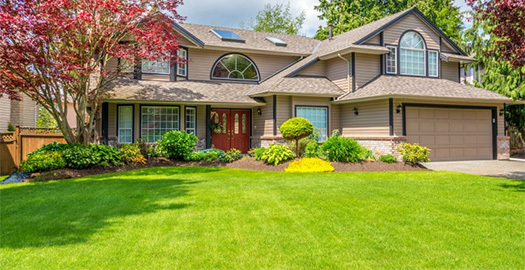 The correct lawn care fertilizer and herbicide (if necessary) can be confusing and complicated to figure out, employing a professional for lawn fertilization or a weed control service company can save you money and heartache in the long run. Our experts at BAM Outdoor have been trained to understand issues like insect damage, turf disease, and more. Adding a retaining wall to the landscape of your Fishers, IN home adds a majestic charm to your property that is hard to match. In addition to adding visual interest, retaining walls are often used to control erosion, manage runoff, or create level spaces for patios, gardens, or structures. Retaining walls can be used to literally sculpt the landscape and transform unusable hills into outdoor living spaces. They can be used to create a garden around your home, create a level area for playing or entertaining, or form the basis for other features such as a new patio or a water feature. At BAM Outdoor we can handle all of your retaining wall needs, whether you’re looking for a segmental retaining wall, terraced retaining wall, or something different. If your Fishers, IN home needs a retaining wall or repair of an existing retaining wall structure, call us for a free estimate at 317-896-1414.